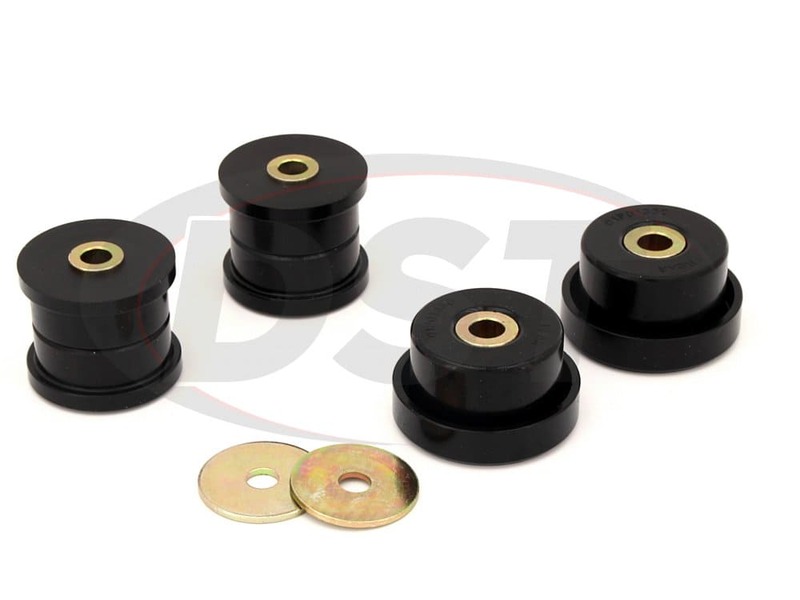 This Rear Differential Bushing Set fits all Subaru Outback and Legacy model differential assemblies between 2005 and 2009. 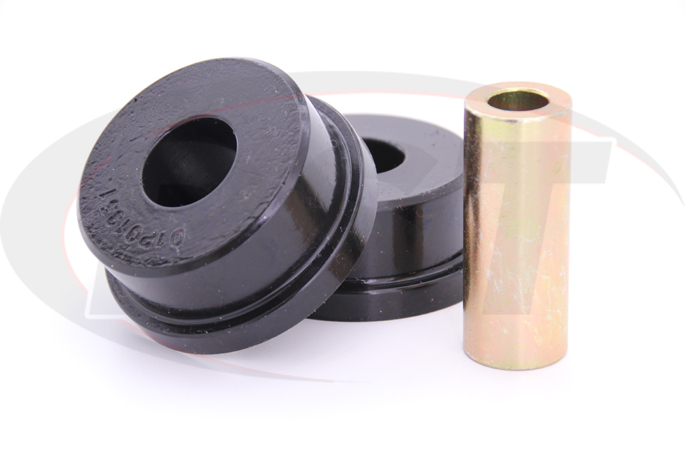 These polyurethane bushings replace your cracked and worn OEM rubber bushings to increase durability, restore performance, without increasing the vibration or noise in the cab. Whether you're taking the family out to the cabin for the weekend or embarking on a cross-country excursion from Florida to Alaska, the Subaru Outback is reliable, and the bushings for your rear differential should be too. 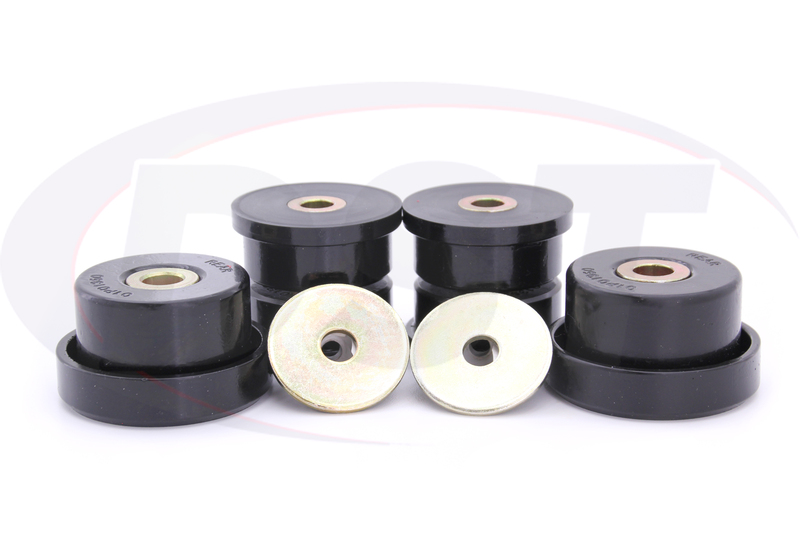 The bushings for your differential play a much larger part than just reducing uncomfortable vibration and noise, preventing what is known as "wheel hop." Wheel hop can be the result of several circumstances, but is typically due to bushing deflection caused by soft or worn down bushings, causing the suspension system to shake and move greatly, resulting in the tire repeatedly losing and gaining traction, which a symptom of a more pressing issue. Wheel hop can cause parts that move at high speeds to bounce and collide with each other, leading to potential damage the longer you go without installing a replacement, as well as the differential silicone gasket breaking or cracking, removing more of the cushion that prevents vibration from entering the differential. 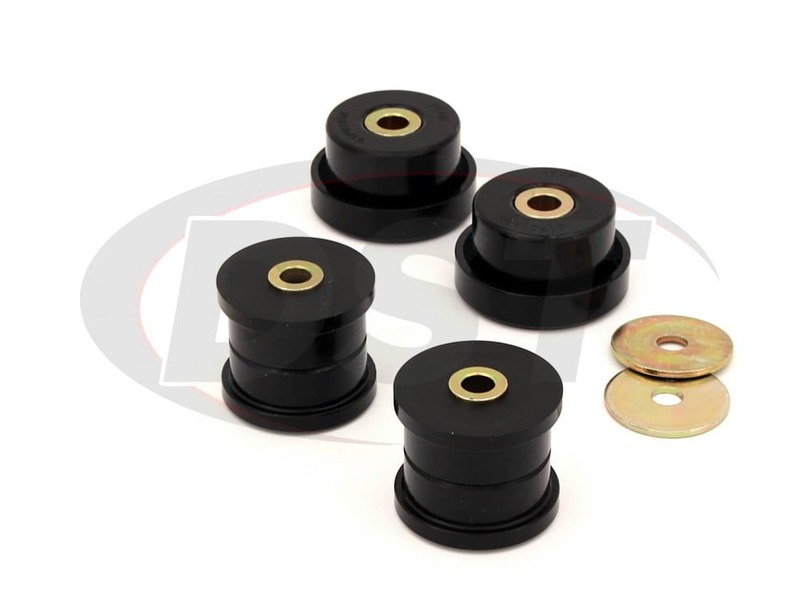 Polyurethane bushings by Energy Suspension provide a strong and durable alternative to rubber while remaining softer than metal alternatives, allowing you a comfortable ride while preventing the issues caused by bushing deflection. 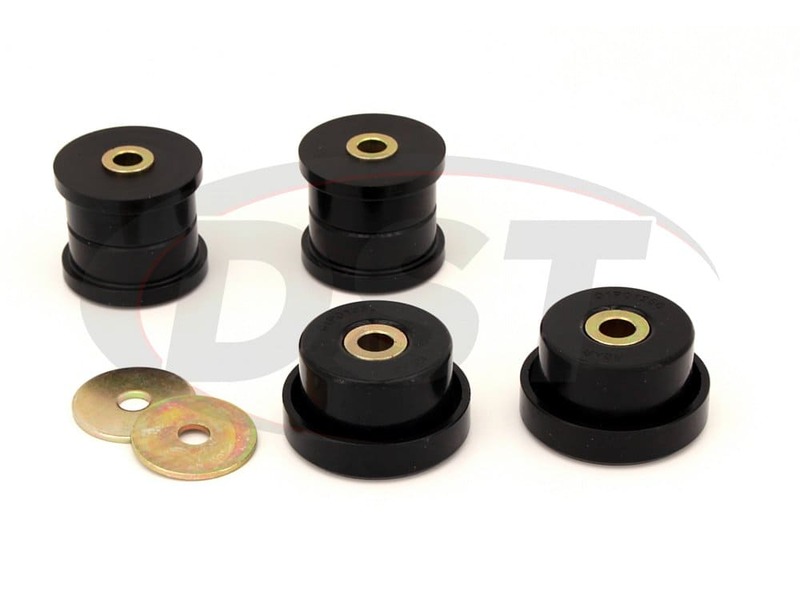 Lasting a lifetime, you won't have to worry about rear differential bushings ever again. Energy has developed a blend of polyurethane named "Hyper-Flex" that not only improves handling and restores performance, but remains impervious to petroleum products like gas, diesel, oil, and will not rot from smog, ozone, road salts, and other substances. 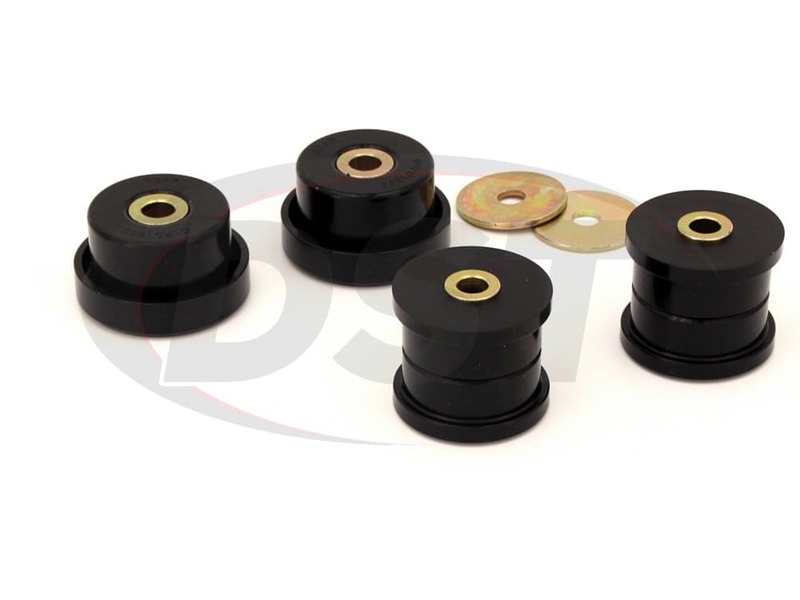 We believe their polyurethane bushings are so durable they will outlast the life of your Outback or Legacy, so we're including our exclusive lifetime warranty. 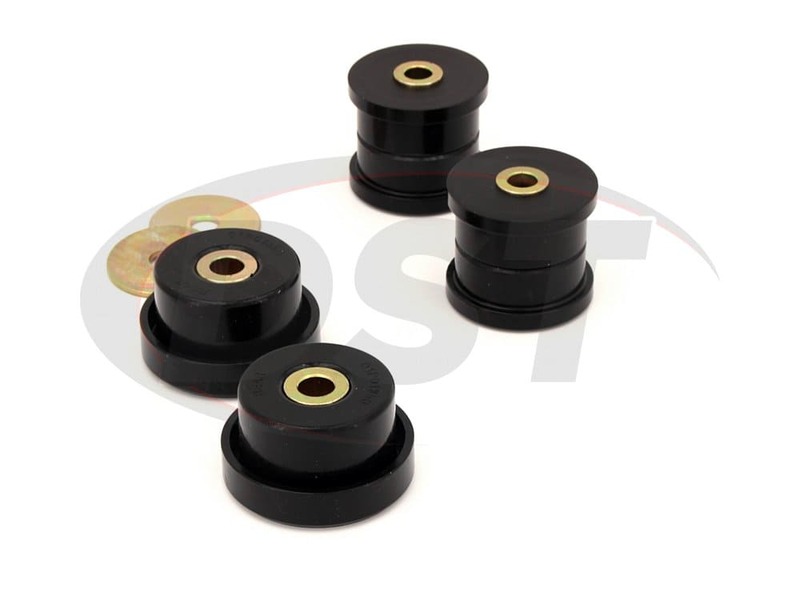 Are the bushings in kit number 19.1105 2 piece bushings? 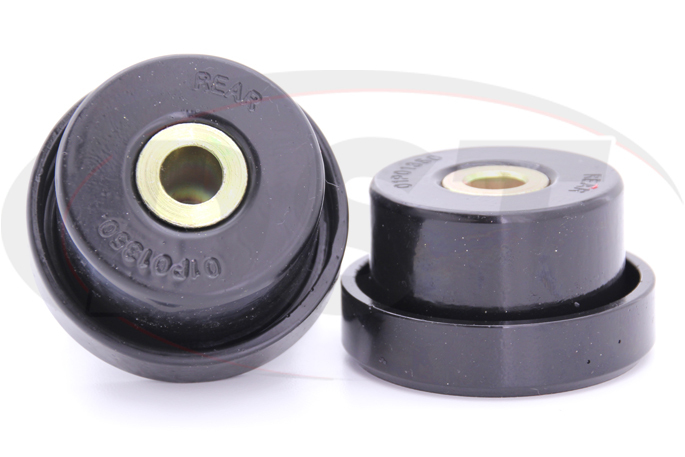 The 19.1105 will include a set of two piece bushings for easy of installation.